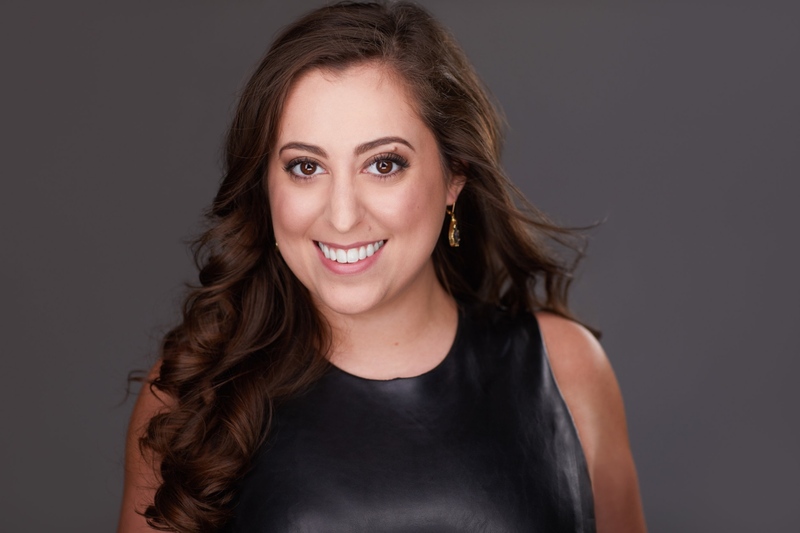 Praised for her “voice [that] shines with a winsome, lyric luster” (Opera News), soprano Elena Galván, from Ithaca, NY, is gaining recognition as a young soprano with “deft timing and repartee of a natural comedienne” (South Florida Classical Review). Elena will make a return to Florida Grand Opera’s stage in the 2018⁄19 season as Susanna in Le nozze di Figaro. She also returns to Livermore Valley Opera to make her role debut of Blondchen in Die Entführung aus dem Serail. Elena will be the soprano soloist for First Coast Opera’s “Bernstein’s Broadway” concert. Elena will return to upstate New York as the Soprano Soloist in performances of Handel’s Messiah with the Cayuga Chamber Orchestra’s, Arts at Grace, and The Binghamton Downtown Singers. In 2017⁄18, Elena made a notable role and house debut as Lisette in La rondine with Opera San Jose. She also joined Out of the Box Opera in Minneapolis to sing in their “Diva Cage Match” concert and First Coast Opera to perform Kay in The Stranger’s Tale by Curtis Tucker. The 2016⁄17 season found Elena returning as a Young Artist to Florida Grand Opera, where she performed the roles of Frasquita in Carmen and Oscar in Un ballo in maschera to critical acclaim. Elena also made her debut with the Nu Deco Ensemble singing the world premiere of the orchestrated version of Jorge Martín’s A Cuban in Vermont. She returned to her hometown to perform Konstanze in Die Entführung aus dem Serail with Opera Ithaca. Elena was also an Apprentice Artist at Des Moines Metro Opera, where she covered the role of Amour in Orphée et Eurydice. During her first year at Florida Grand Opera, she performed the roles of Norina in Don Pasquale and Yvette in The Passenger. Also in 2015, she joined Kentucky Opera as a Studio Artist to perform Susanna in Le nozze di Figaro. Previous engagements include Mabel in The Pirates of Penzance and Phyllis in Iolanthe with Lamplighters Music Theatre; Countess Ceprano and cover of Gilda in Rigoletto and Frasquita in Carmen with Livermore Valley Opera; Musetta in La bohème and Rosina in The Barber of Seville as a Teaching Artist for San Francisco Opera’s Opera Guild; and Norina in Don Pasquale in a family performance at Opera Santa Barbara. Other roles include Dalinda (Ariodante), Lauretta (Gianni Schicchi), Nannetta (Falstaff), Lucy (The Telephone), Suor Genovieffa (Suor Angelica), Le Feu (L’enfant et les sortilèges), Clarice (Il mondo della luna), and The Fox in the collegiate premiere of _The Little Prince._ Elena has also been a member of notable Young Artist programs at companies such as Virginia Opera, Opera Santa Barbara, and Opera Saratoga. On the concert stage, Elena returned to her alma mater, Ithaca College, to be featured in the Opening Concert of the Finger Lakes Environmental Film Festival (FLEFF) in 2018. She also sang Rutter’s Magnificat with the Northern Adirondack Vocal Ensemble (NAVE). Elena performed with the San Antonio Chamber Orchestra on their “Centennial Benjamin” program and Handel’s Messiah with the Napa Valley Chorale and Symphony. She was the soprano soloist for Handel’s Messiah with the Cayuga Chamber Orchestra and was a soloist on a concert series hosted by Opera Krakowska in Poland. Elena was awarded Second Place in the Lois Alba Aria Competition in Houston, TX, in 2014. She won an Encouragement Award in both the Los Angeles and San Francisco Districts of the Metropolitan Opera National Council Auditions in 2013 and 2011, respectively. Other awards include the Nate and Nora Schoenfeld Award in Palo Alto, CA, and the Bea and Irving Solomon Award and the Ernst Bacon Prize in Syracuse, NY. She holds degrees from Ithaca College and the San Francisco Conservatory of Music.